Two teams from the BRL and Birmingham will pitch their robots against each other in a series of events from 26 and 30 June. 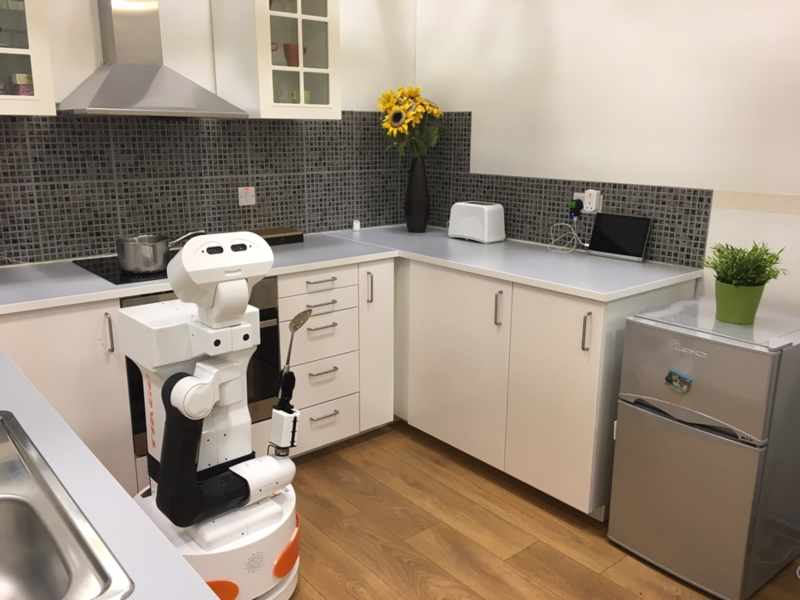 The robots will also have to greet visitors at the door appropriately, such as welcoming a doctor on their visit, or turning away unwanted visitors. The Bristol event will be open for public viewing in the BRL on the afternoon of the 29th of June 2017 (Bookable via EventBrite), and include short tours of the assisted living studio for the attendees. It will be held during UK Robotics Week, on 24-30 June 2017, when there will be a nationwide programme of robotics and automation events. The BRL will also be organising focus groups on 28 and 29 June 2017 (Bookable via EventBrite and here) as part of the UK Robotics Week, to demonstrate assistive robots and their functionality, and seek the views of carers and older adults on these assistive technologies, exploring further applications and integration of such robots into care scenarios.